Foreclosure is a tough and scary situation. WCR Homebuyers may be able to help! If you are facing foreclosure on your home in Roseburg or the surrounding area, then you need to sell it fast! Check out this video to see how WCR Homebuyers may be able to help. We got a lead this week from a gentleman who may lose his house in the next 60 days and we are doing everything we can to prevent that! We Buy House Fast And For Cash From Good Folks Just Like You Who Are In A Sticky Situation! Hey everyone, Dustin with WCR Homebuyers here. I just want to share with you all an example of a home seller who we might be helping out in the near future. The seller contacted through our site this week, and I talked to the gentleman on the phone. He’s looking at possibly losing his house to the bank in the next 60 days due to changing locations and not being able to pay his mortgage. Obviously that’s a pretty scary situation for him, 60 days is maybe enough time to sell on the market, maybe not. It’s a very difficult situation, so I’m going to take a look at it this weekend, and there’s a good possibility that I can buy it from him for cash in just a week or two, keep him out of foreclosure, and help him move on with his life without having that ding on his credit score. This is a great example where someone could be losing their house to the bank, or they could sell it to us, and we can do what we do, which is clean it up, make it nice for someone else to buy. And turn around and sell it to a nice family. It’s in the Myrtle Creek area, and it looks like it could be a really nice house. Near schools, and a swimming pool, with a skate park, and all this fun stuff. So it would be really cool to be able to see this go to a nice family, and not a bank. And to have the gentleman not have that ding on his credit score from a foreclosure. A Pending Foreclosure Is A Stressful and Scary Situation! How Can WCR Homebuyers Help You? #1 – We can buy your house for cash in as little as 7 days before the bank forecloses! #2 – All closing costs are paid for you, no fees or realtor commissions, no repairs, no cleaning! #3 – Remove the headaches of listing with a realtor such as showing it over and over again to prospective buyers who will try to “nickel-and-dime” you…and more! Contact us today to find out how we can prevent pending foreclosure by purchasing your house directly from you quickly with no hassle! WCR Homebuyers is a local small business founded by Roseburg, Oregonian natives who want to see our community thrive. 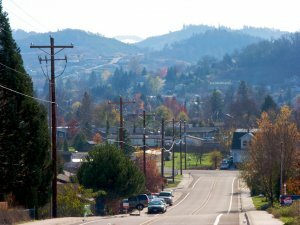 We started this business to help relieve homeowners of burdensome houses in and around Roseburg. We have the resources to do what no realtor can…GUARANTEE you a sale of your house at a specific price with no out of pocket expenses to you! The offer we make you is what you will keep, minus any mortgages or other liens. How does our process differ from listing with a local realtor? Click HERE to find out the benefits of selling to WCR Homebuyers.